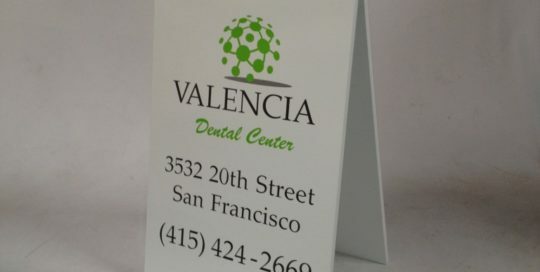 Vinyl Graphics Archives - Page 3 of 10 - Martin Sign Co. 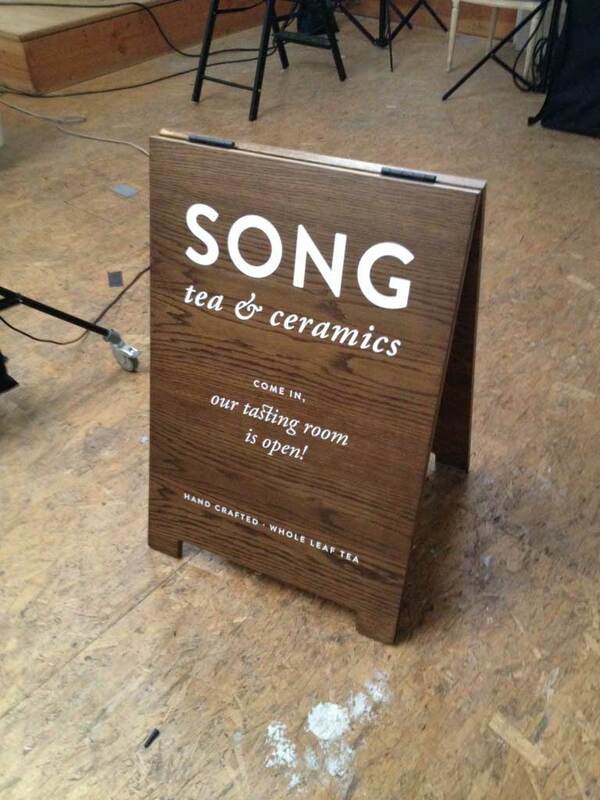 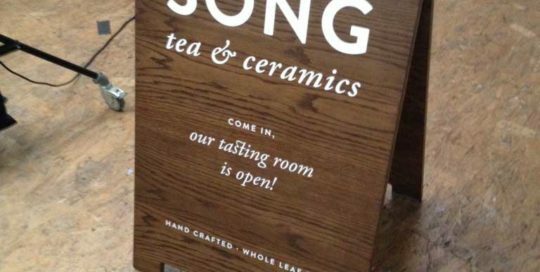 Here is a 2′ x 3′ stained wood a-frame for Song Tea & Ceramics. 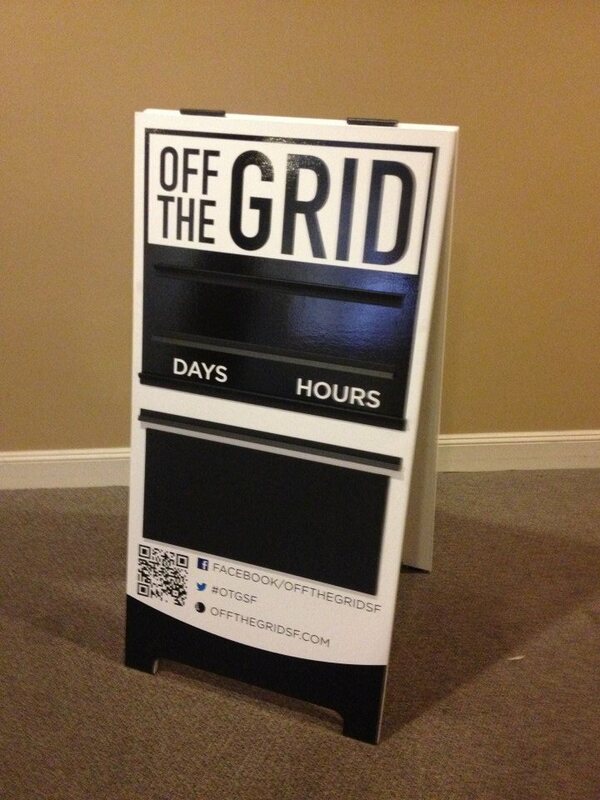 For the Off the Grid we made some custom wood a-frame signs with sliders. 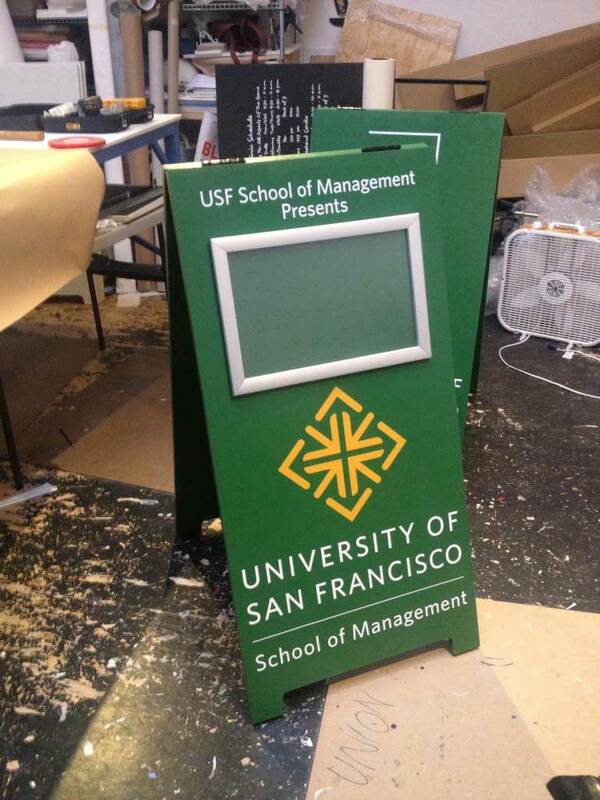 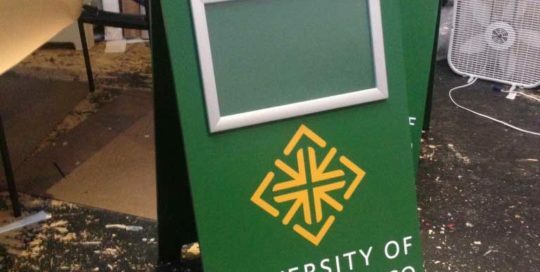 Here is a sidewalk sign we did for USF made out of wood and with a literature holder. 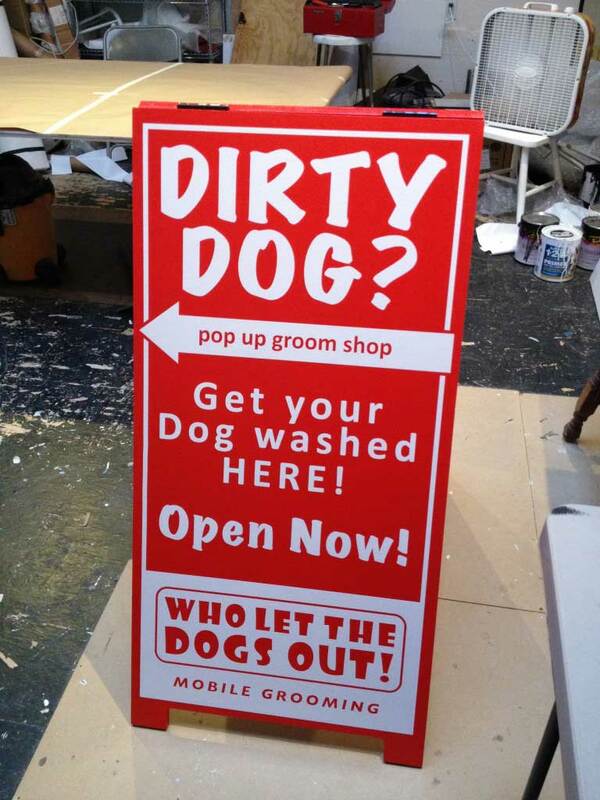 We did a painted wood red a-frame with white vinyl graphics. 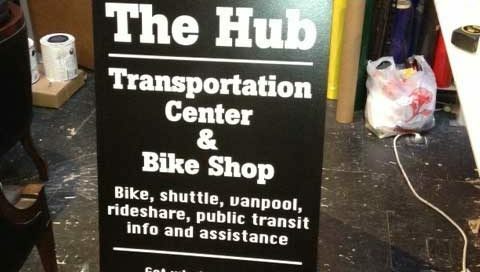 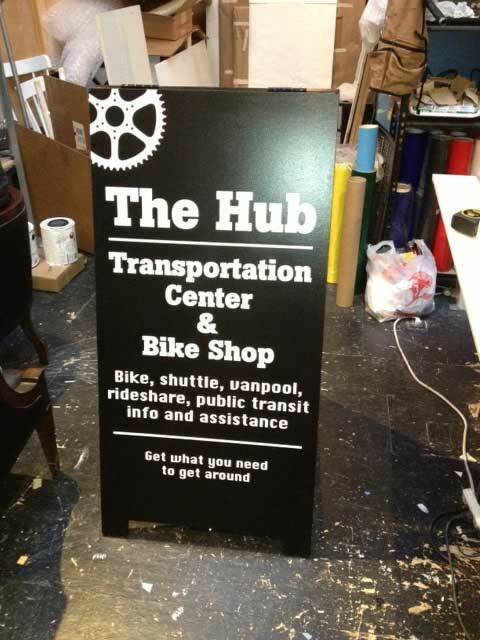 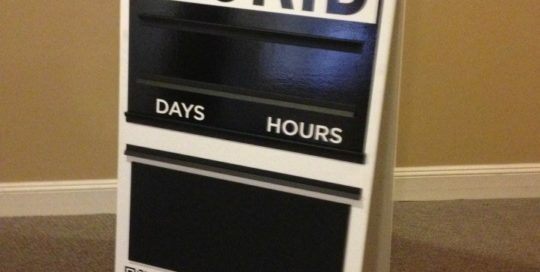 Here is a sidewalk sign we built for The Hub. 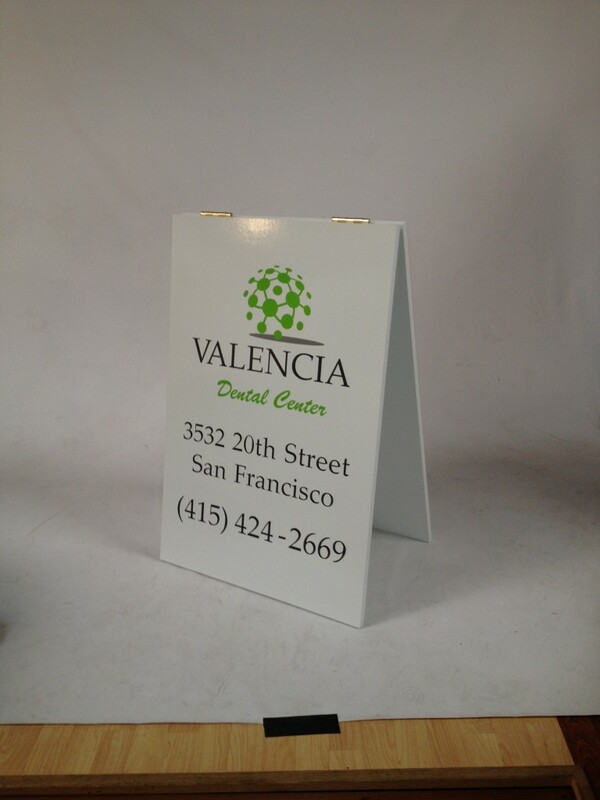 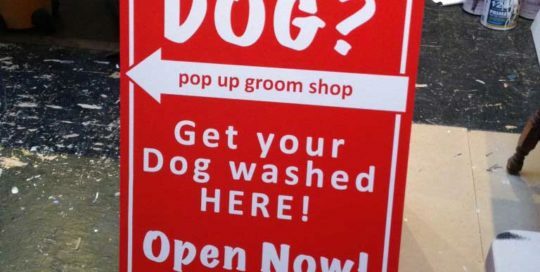 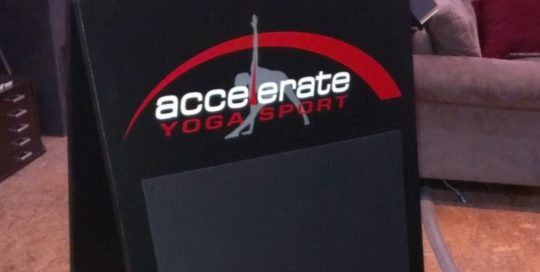 For this sidewalk sign or a-frame, we made it out of .75″ thick wood painted white with vinyl graphics on both sides, but on the back side we added a piece of chalk board. 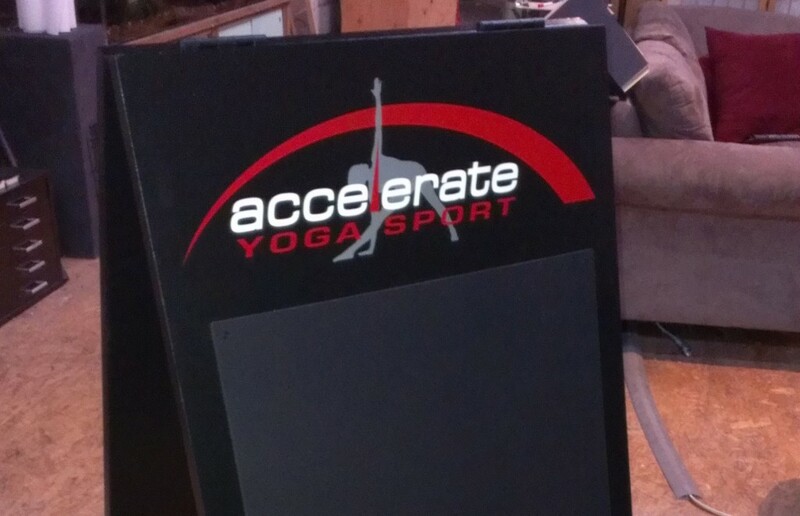 The size for this a-frame was about 2′ x 3′. 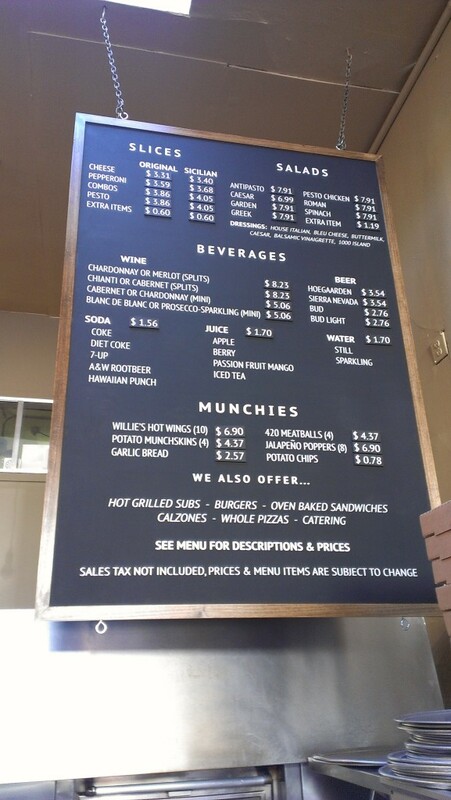 Here is a menu board we did for Marcello’s Pizza screen printed with menu board tiles. 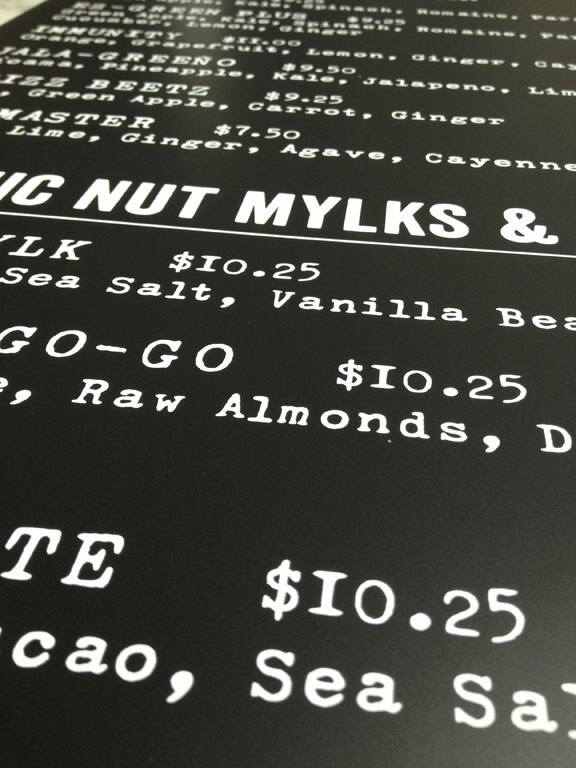 Also for Project Juice we did a chalkboard menu board with vinyl graphics on the face. 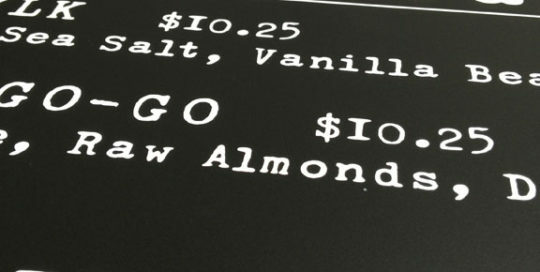 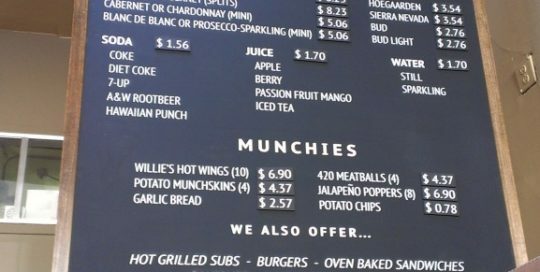 This menu board is a metallic chalkboard so they can us magnets to show items that are sold out. 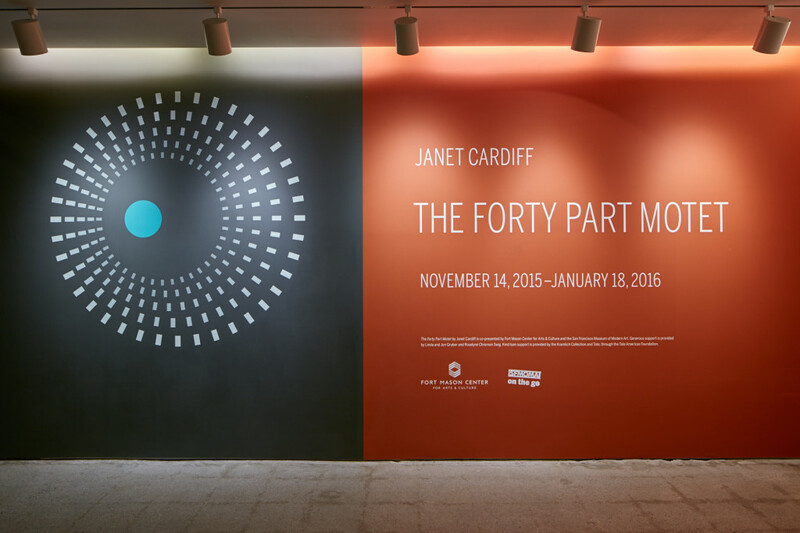 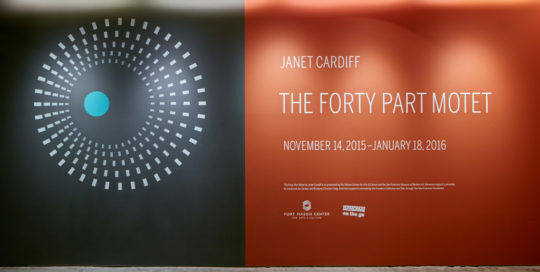 Here are some vinyl graphics on a custom painted wall we did for SF MoMa Cardiff at Fort Mason in San Francisco.